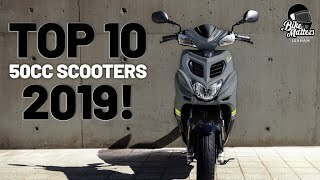 Welcome back to my 2-part blog series looking at some of the best maxi-scooters on the market in 2018. Another offering from Kymco, the Xciting 400i is the first of the larger models on our list and in my opinion one of the best looking. The angular twin LED headlights and stylish smoked front screen convey an aggressive, sporty vibe and the theme continues throughout the rest of the scooter's clean and cutting edge design. The Xciting 400i makes for a strong alternative to low capacity motorcycles. The 399cc single cylinder, four stroke, liquid cooled engine is capable of top speeds of 95mph making light work of both short and long distance commutes, you certainly won't have to worry about any lack of power. The Continuously Variable Transmission (CVT) ensures the engine stays in optimum rev ranges during its automatic gear shifts leaving you to focus on and enjoy the actual ride. A 5-stage adjustable rear suspension combined with superior manoeuvrability and an impressive lean angle makes the Xciting feel more like a motorcycle than a scooter, but with improved comfort and infinitely more luggage space than a comparable motorcycle would feature. Add to that a very reasonable price tag of £5,092, a 65 mpg fuel economy, BOSCH ABS as standard and a lot less hassle in the maintenance department and you have a very nice alternative to a commuter motorcycle. The Peugeot Satellis 2 400 lacks some of the high tech features which other models in this category have, there's no ABS or traction control here, but what it does have is a budget price and a focus on performance. Peugeot's RRP is just £4,899, which for a 400cc scooter is very competitive and the liquid cooled four-valve single puts out an impressive 36.7bhp making it one of the most formidable maxi-scooters out there. If you're looking for an efficient commuter that has plenty of grunt for urban riding and you're not bothered about the modern gadgets scooters come loaded with these days, then the Satellis is a good option. Having said that it does still feature a digital instrument panel with an onboard computer, a central locking system and a built in immobiliser. Like the other maxi-scooters we've looked at, the Satellis is also a very capable tourer. Smooth automatic transmission, a wide front fairing and 450mm screen combined with a luxurious seat (with backrests for both rider and pillion) make for an easy and relaxing ride that can soak up the miles. The Burgman is one of the original maxi-scooters, first arriving on the scene in 1998 and having seen several updates over the years, the latest being in 2018. With the new Burgman 400, Suzuki have gone in a sportier direction, both in looks and performance, if a 400cc scooter is an alternative to a motorcycle they want it to feel that way. The wheels have been upped to 15" for increased stability, the fairing has been streamlined into an angular sleek design and the 30.5bhp 400cc engine has been tuned to provide more torque at the low end, creating a more responsive ride that's faster off the mark. Despite the sportier performance the Burgman still offers a very impressive fuel economy, according to Suzuki it will do 70mpg, and the digital display has the 'Eco Drive Indicator' feature that will let you know how efficiently you're currently riding in terms of fuel consumption. The scooter features ABS as standard and a unique seven-step adjustable shock which could be very handy for two up riding. The Burgman 400 has slightly smaller under seat storage with room for one full faced helmet but it does have 2 additional glove boxes for smaller items. The main negative to weigh up here will be the price tag, at £6,299 it's the most expensive of the 400cc machines on this list. The Yamaha TMAX is another venerable model having been on sale now for over 16 years, it's also the biggest selling maxi-scooter in Europe. The TMAX DX is the deluxe version and is perhaps the ultimate scooter, packing in every luxury and gizmo you can think of. ABS, traction control, cruise control, keyless ignition, riding modes, heated grips and a heated seat, the TMAX DX has them all. Equally adept at commuting or touring, the wide fairing and electronically adjustable screen provide plenty of protection from the elements and the heated grips and seat make for comfortable riding all year round. 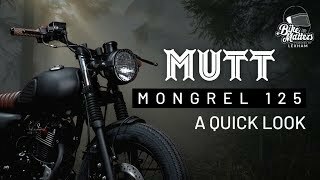 The engine is a 530cc inline twin that provides plenty of power and torque, combine that with a lightweight aluminium chassis and you get a scooter that performs and handles like a motorcycle. All these features come with a cost however and the TMAX DX price starts at £11,349 but for that you get one of the most capable commuters in any market, not just among scooters. For those looking for something a bit more budget there is a standard version that comes with a few less bells and whistles available from £9,999. Some people are put off by the word scooter but there's a reason these things are such huge sellers all through Europe. We talked about Sym in the previous blog, another Taiwanese manufacturer who may not be quite as well known as the Japanese or Italian options but have established a reputation for making very high quality scooters. The Maxsym 600i is their top of the line maxi-scooter packing a 565cc single cylinder engine with an output of 45bhp and offering motorcycle rivalling performance with luxurious comfort. Like all the other maxi scooters we've looked at, the automatic transmission makes for a relaxing ride and when combined with a seat that feels like an armchair, with separate rider and pillion backrests, not to mention Sym's unique hot air vent, you'll be eating up the miles in comfort whatever the British weather throws at you. Speaking of eating up the miles, the Maxsym 600i's quick acceleration and effortless motorway cruising speeds make it suitable for pretty much any commute or long distance ride you want to throw at it with a 70mpg fuel economy to boot. It's not loaded with features like the TMAX but it does come with ABS as standard and the £6,299 price tag is surprisingly low given the high quality and performance you get for it. If you're looking to try one of these luxury maxi scooters but don't want to break the bank this could be a great option. 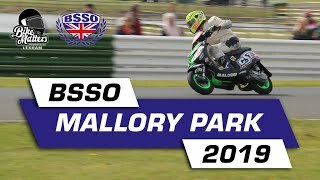 So, what have we learned about maxi scooters? It's a market that is huge on the continent but relatively new to the UK scene but with a lot of options available they tend to tick all the boxes when it comes to commuting and touring power and if comfort is something you're after, one of these could be well worth a look. If you like the sound of any of the models discussed here, then why not look for your nearest dealer and find out more? If you need an insurance quote then Lexham specialises in 2-wheel insurance for the scooter market so be sure to get a quote direct for the best prices!